My fitness regime during my working day consists of going to the gym after work and walking during lunchtime. I have the choice of some lovely walks in the area around my office including Queen's Park and Linn Park. 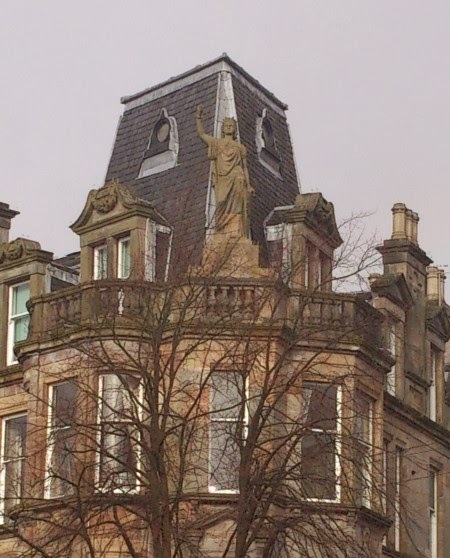 On a walk around Queen's Park last week I noticed this beautiful statue on top of a building on Langside Avenue. The statue looks like a Grecian one, with some further Grecian detail around the walls of the building. 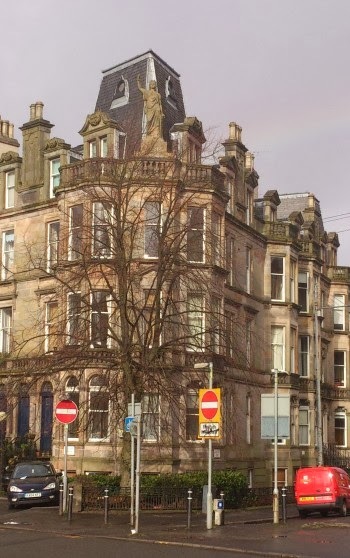 Glasgow City has some wonderful buildings.